In retail businesses, sales associates most often work after 5pm and weekends, and schedules are flexible, making it a perfect job for supplementing regular income. Hourly wage varies based on company and location but often includes merchandise discounts and rewards for higher sales. Many companies also hire temporary help during the holiday season. Again, pay will vary with many factors, but with the right people-skills you really can earn significant income as a bartender or waitstaff. Most companies pay a hefty bonus to those willing to take the night shift. Big retailers like Wal-mart and Target hire many to unload trucks, stock shelves and other prep tasks during the night hours. Medical facilities and offices also need cleaners and maintenance workers, and hotels need desk clerks for the night. If cranky customers make you cringe, this kind of job would work for you. Full-time or part-time, the best pay for receptionists is in medical offices due to the responsibilities of handling patient records and insurance information. Most health care facilities will train workers on the job to transcribe recordings dictated by doctors into medical reports and other administrative material. Cruise ships need workers just like landlocked hotels, restaurants and swimming pools. The take-home pay is lower, but you don’t pay for food or housing. If you’ve always wanted to travel but could never afford it, the experience is an intangible benefit. 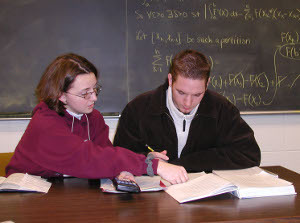 If you have any skill that others want to learn, you can be a tutor. If you play a musical instrument, speak a foreign language, sing, dance, garden or any other hobby, you can make money while setting your own schedule. If you can work with kids you’ll have plenty of business teaching basic math, reading and science. A part-time job that works for you personally and financially is out there. You just have to start looking in less conventional places. These job descriptions are samples of a much wider job market, so if you haven’t found the right one yet, consider this a jumping-off point into a pool of opportunities you didn’t know existed. hmmm cruise ship jobs! I\’ll take anything that sounds like a crazy adventure. Just read your other post about jobs that pay a lot and I\’m hooked to your blog already! Another job that you can get is a deckhand on a super yacht. You need qualifications to be promoted, however you can get a good job today. Thomas Grieg recently posted..How do you Know if an Interview went Badly? Previous post: What Does a Financial Analyst Do?